He also lashed out at Congress leader Kapil Sibal for comparing Muslims’ “faith” in triple talaq to those of Hindus in Ram temple, calling it “disgraceful. Prasad said Sibal compared a “social bane” to the majority community’s “belief”. 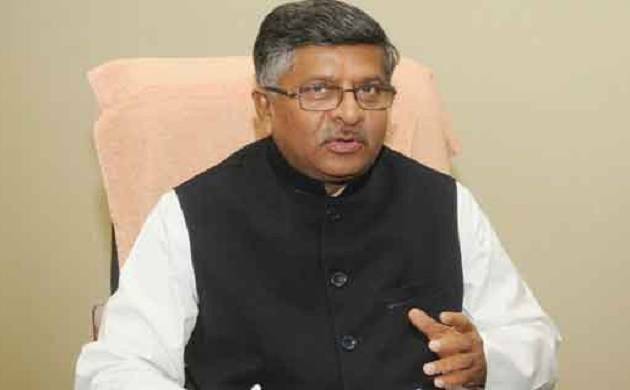 Law Minister Ravi Shankar Prasad on Sunday accused Congress chief Sonia Gandhi, her daughter Priyanka, and West Bengal Chief Minister Mamata Banerjee of practising “vote bank politics” by keeping silent on the issue of triple talaq. In an interaction at Aaj Tak, he said Rajiv Gandhi might have “bowed” under pressure on Muslim women’s rights but Prime Minister Narendra Modi will stand solidly with them. He was apparently referring to the Shah Bano case in which a 62-year-old Muslim woman was divorced by her husband. She filed a criminal suit in the Supreme Court and won alimony. However, she was subsequently denied the alimony when Parliament reversed the judgement. Naming prominent women leaders, including BSP chief Mayawati, he said their “silence” was a clear example of vote bank politics. Incidentally, it was Rajiv Gandhi’s death anniversary on Sunday. Triple talaq is not a matter of religion but gender equality, Prasad said. He also downplayed reports of the confrontation between the government and the judiciary but added that the former is doing its job and the latter has to do its own. The government is working on the digitisation of courts, he said, adding that it is appointing “justice friend” to help dispose cases older than 10 years.